In a large mixing bowl, combine the flour and baking powder. In a separate mixing bowl combine the almond milk and vinegar. 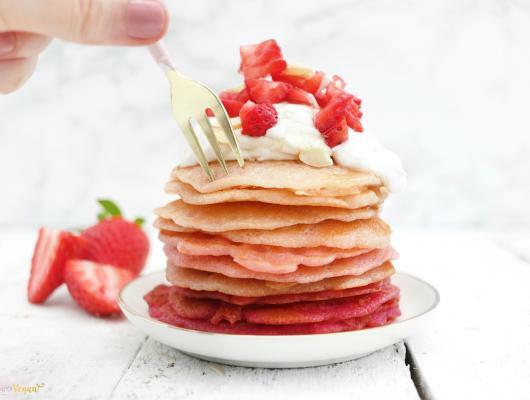 Pour the almond milk & vinegar mixture, maple syrup, strawberry flavouring and melted coconut oil into the flour & baking powder mixture and combine. Separate the pancake mixture into 3 separate bowls. Place a large frying on the hob over a low light and lightly grease with oil. With a large spoon or ladle, carefully pour a small amount of the mixture into the centre of the hot pan. 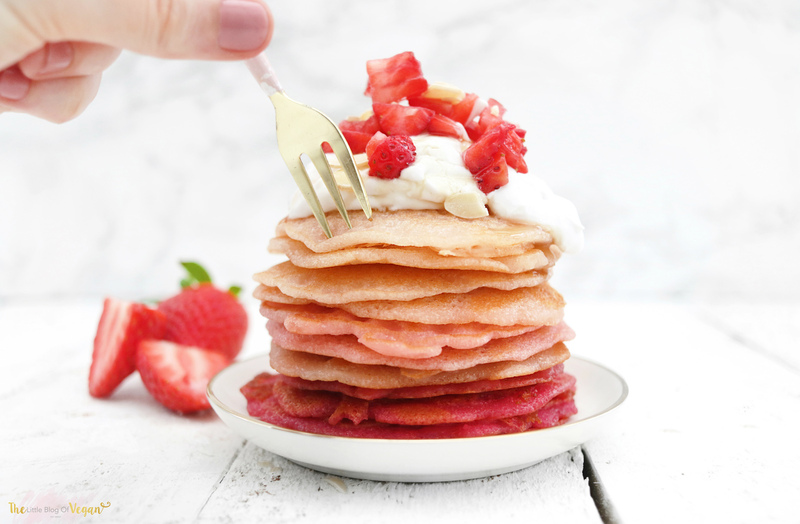 Repeat this process until you have used up all of your batter and have a tower of delightful pancakes!